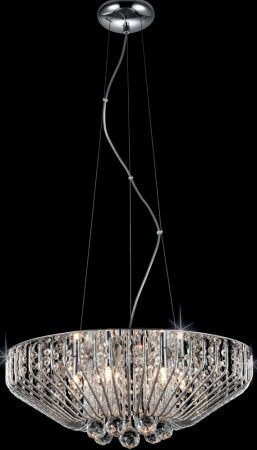 The Carlo 6 light crystal basket pendant in polished chrome is contemporary, stylish and practical. Featuring a polished chrome wire basket filled with crystal decoration, suspended from three wires and chrome ceiling mount. Circular polished chrome ceiling cup and three adjustable wires, with a circular wire basket containing the lamps, infilled with hanging faceted crystal buttons and heavy faceted crystal balls hanging beneath. 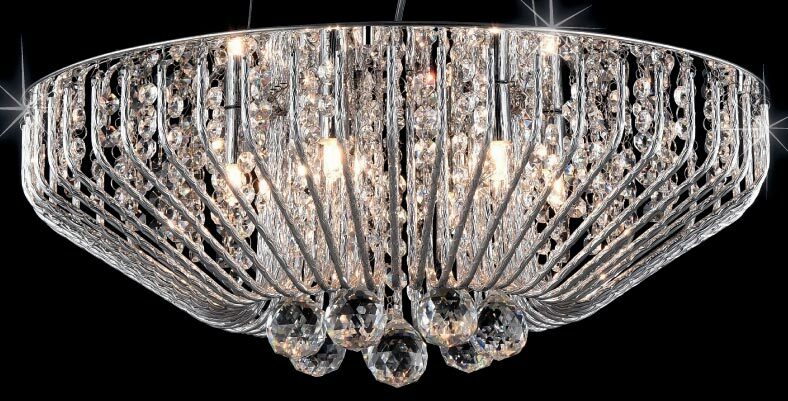 A modern compact six-light crystal pendant that is stylish and practical. It will create a lovely lighting effect as the light passes through the crystals and sparkles into the room. Height adjustable at the time of installation by shortening the wire suspension. 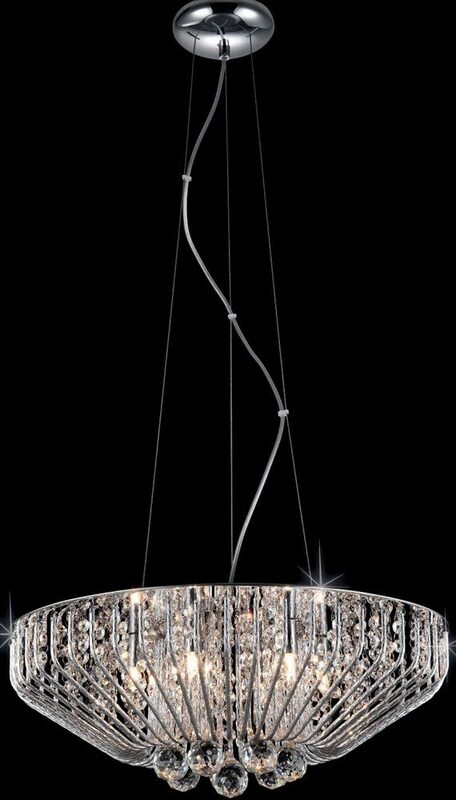 Also available in other sizes and as a flush ceiling light, please scroll down to view.